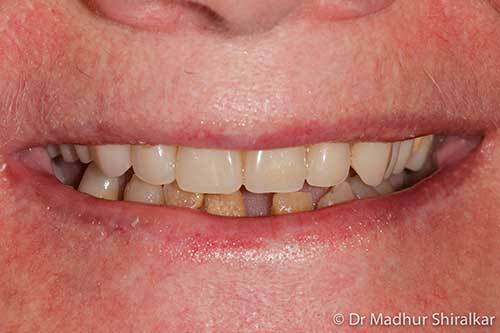 This retired person was suffering from extensive dental infection and deteriorated teeth. 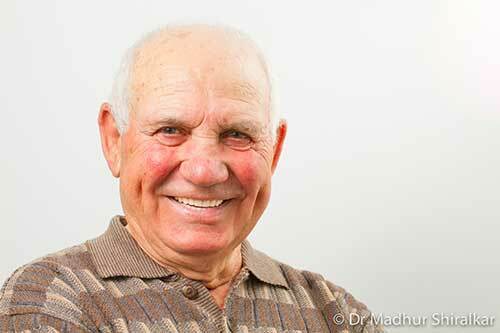 He chose for conventional upper denture and lower All on 4 dental implants to restore his bite and smile. 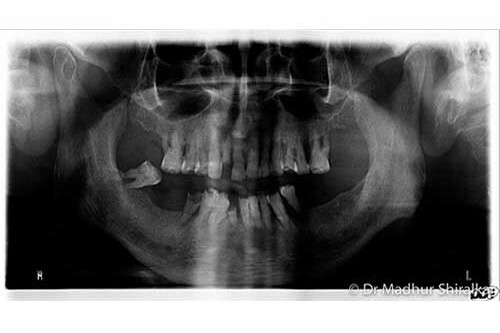 Christine suffered from dental anxiety and deteriorated teeth. 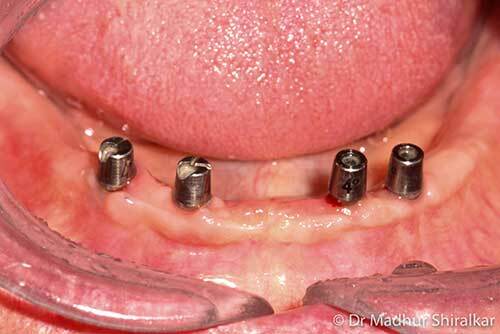 5 dental implants were placed in the upper jaw and 4 implants in the lower jaw. 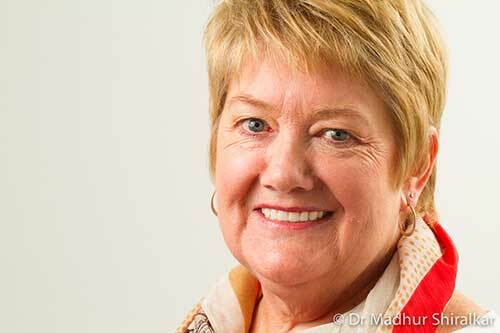 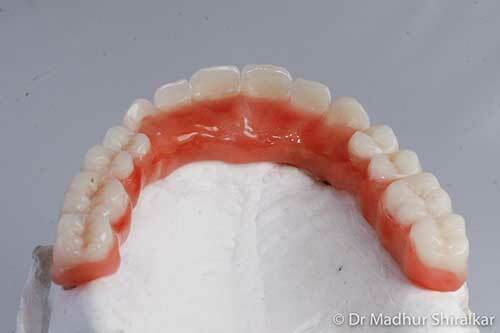 All on 4 concept implant bridges gave her a fixed teeth replacement solution. 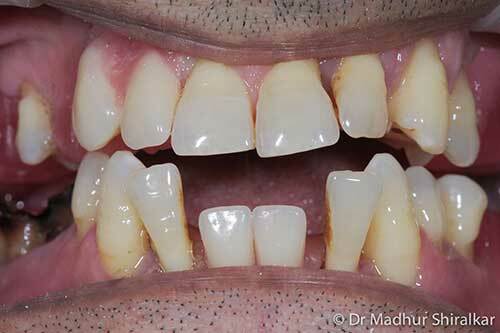 This professional was suffering from dental anxiety, neglect and gum disease. 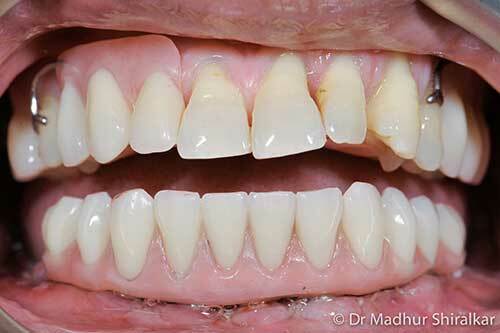 Lower teeth were restored with Immediate loading (2 days) on All on 4 implants. 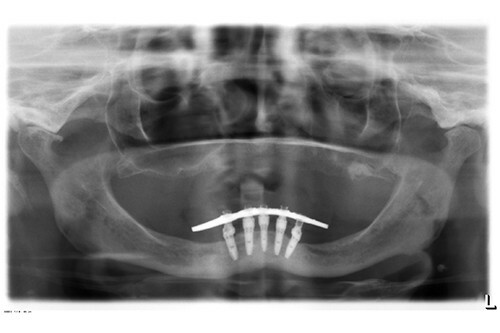 Here we placed an extra implant for future contingency. 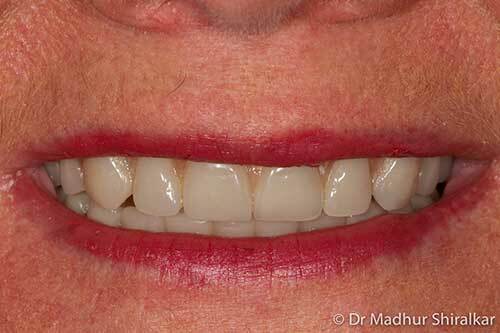 After suffering from lower denture for many years, we restored her bite with All on 4 concept implant bridge on 5 implants. 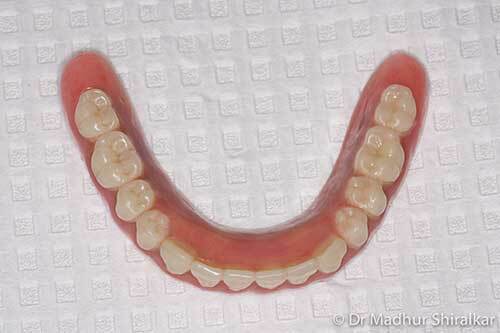 This person desired to have upper teeth without covering roof of his mouth and not have a denture at all. 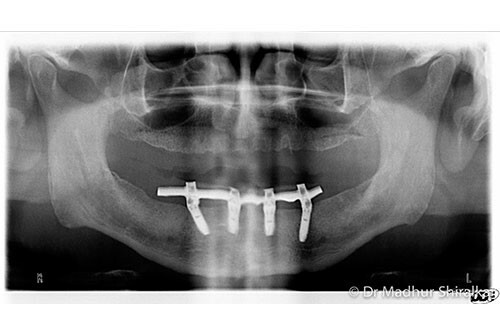 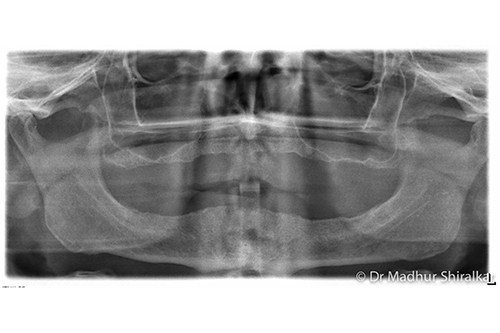 His complex reconstruction involved sinus bone grafting and 6 dental implants in the upper and 4 in the lower jaw. 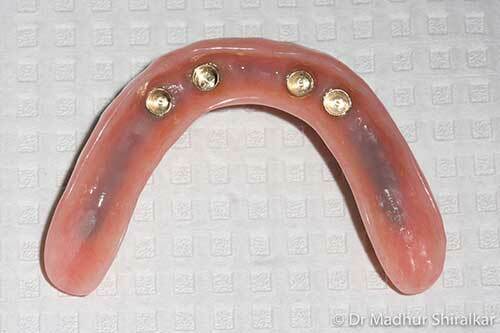 All on 4 dental implants type fixed removable bridges were made. 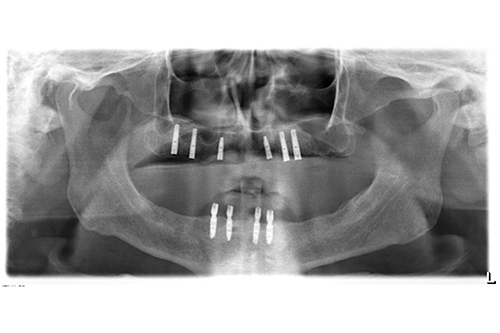 If you haven’t found the answer to your question about the technique, cost or outcomes of All on 4® implants, contact us online or phone (03) 9417 6355.